Neil Patrick Harris, the new golden boy of awards show hosting, has been tabbed to preside over CBS' Sept. 20th telecast of the 61st Primetime Emmys. 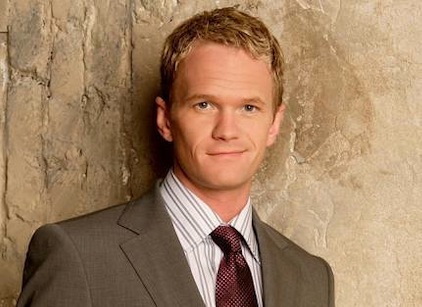 Harris, who co-stars in CBS' How I Met Your Mother as horndog Barney Stinson, recently hosted the Tony Awards on CBS. Earlier this year he also hosted the annual TV Land awards show. "I'm looking forward to the challenge of the show -- adding my own voice to it while honoring the nominees and the entire year in television," Harris says in a CBS publicity release. "But which voice to choose? I'm torn between gangsta, foppish Brit and robot. Really proud of my robot." Harris, who came to fame as the child star of Doogie Howser, M.D., is the secondly openly gay performer to host the Emmys. Ellen DeGeneres has hosted two Emmy ceremonies as well as the Oscars. Nominations for this year's Emmys will be announced on Thursday, July 16th.